We Carved the Pumpkin, Now What? Few Halloweens feel complete without the traditional carving of the pumpkin. 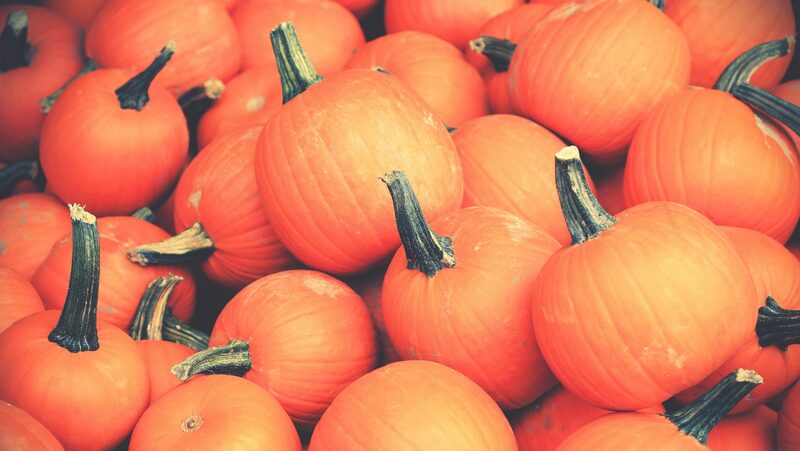 After the holiday passes, most pumpkins linger on the front steps or quickly find their way to the trash. The fruit, yes it is a fruit, can serve a variety of purposes, however. Halloween does not need to be the end of its short life. Have you ever considered using pumpkin on your skin? Sounds crazy, right. It’s not. Pumpkins are rich in Zinc and Vitamins A, C, and E. Applying pumpkin puree to your skin can serve as an exfoliator and a moisturizer. Have yourself looking and feeling great in time for the holiday rush. You’ll never view a pumpkin the same again. For those of you with a green thumb, a pumpkin can be used more than one way in your own backyard. The seeds can be saved until spring and replanted in your garden to grow next year’s crop. Pumpkin is also a very healthy food for the wildlife in your area. Cut the pumpkin into chunks and scatter where you know animals to gather. Finally, you can use rotting pumpkins for compost to give next year’s garden a boost like it has never had before. A large portion of the population is probably already aware of the pumpkin’s many food applications. Can you say pumpkin pie? How about roasted pumpkin seeds? One application you might not be aware of is the versatility of pumpkin puree. Boiled, baked, or steamed pumpkin can be used to create delicious breads or mouth-watering soups… in addition to pumpkin pie, of course. Are you a fan of pumpkin spiced lattes but can’t afford the regular expenditure? Consider making your own at home for a fraction of the price. Not only are homemade pumpkin lattes 100% natural, you can create your own spice mixture and even add such delights as maple syrup or vanilla extract. Imagine the look on the faces of your dinner guests when you serve piping hot soup in pumpkin serving bowls. Simply brush both the inside and outside of the pumpkin with a bit of vegetable oil, bake for 350 degrees for approximately 30-35 minutes, and bam. You will be the talk of the town. Finally, is homemade pumpkin butter, which just might be the greatest use of a pumpkin. Nothing elevates flavors like homemade butter. The following recipe can be used to make your own little slice, or tab in this case, of heaven. Roast your sugar pumpkins and then cool for 10 minutes on pan before handling. Add pumpkin flesh (without the skin) in a blender. Add juice and blend until smooth, stopping to push down the pumpkin when necessary. It may take a bit to get it going. Add the Succinate (or brown sugar), maple syrup, cinnamon, and nutmeg. Process again until super smooth with no clumps remaining. Spoon mixture into a medium-sized pot. Cover with lid and prop lid ajar with a wooden spoon. Over medium-high heat, bring mixture to a low boil. Reduce heat to low-medium and cook for 10 minutes, or until it’s as thick as you want it. Keep the lid ajar throughout the cooking process – you will find it splatters everywhere so be careful. Remove from heat and stir in vanilla.